UMFC’s Interchange program provides individual and group options for children and young people with disability. UMFC is not an NDIS provider but is able to provide services to individuals utilising plan and self-managed flexibility within their NDIS packages. The Host Program matches a child or young person with an accredited volunteer host carer/family who shares their home and time with that child on a regular basis. Arrangements around actual periods of care are flexible and are tailored to meet the needs of family, child, and host. Involvement varies from staying overnight one weekend per month, to day visits at the host’s home, or exploring the local community together. 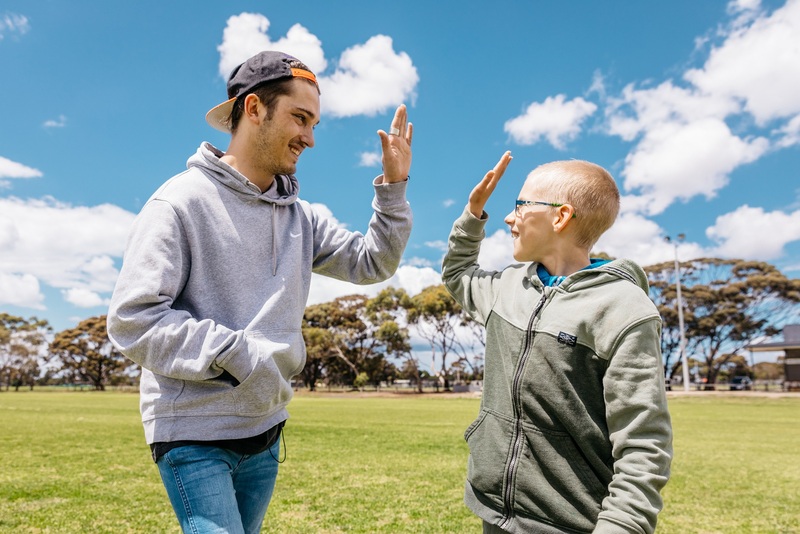 The Big Buddy Program involves accredited volunteers who are matched individually with a young person to spend time together on activities and outings. Big Buddy matches enable participants to develop connections and participate in activities that are of interest to them. This could include support to join in on a regular group, or experience varied opportunities in their community. After School Activity sessions run Monday to Friday from school finish to 5.30 p.m. during Victorian school terms. Experienced staff lead the sessions to provide activities and experiences to best suit the needs and requirements of participants. Volunteers assist in this program to enhance the involvement of all participants. The Interchange program is an individually tailored service, working directly with young people and their support networks. Support workers are able to provide support within the home, at our Nordsvan Drive facility, or by accessing community activities.